From raising awareness about autism to promoting healthy lifestyleand gender equality, cycling enthusiasts are pedalling ahead to bring about a change in their own little way….. The most recent ride for cause was organised on World Health Day. As many as 40 cyclists rode together amidst heavy traffic in the evening hours to educate people about the health benefits of riding a bicycle. “We had been looking for an opportunity to organise a ride to basically claim the city roads as cyclists, and the occasion of World Health Day seemed just perfect. After all, cycling has several health benefits. 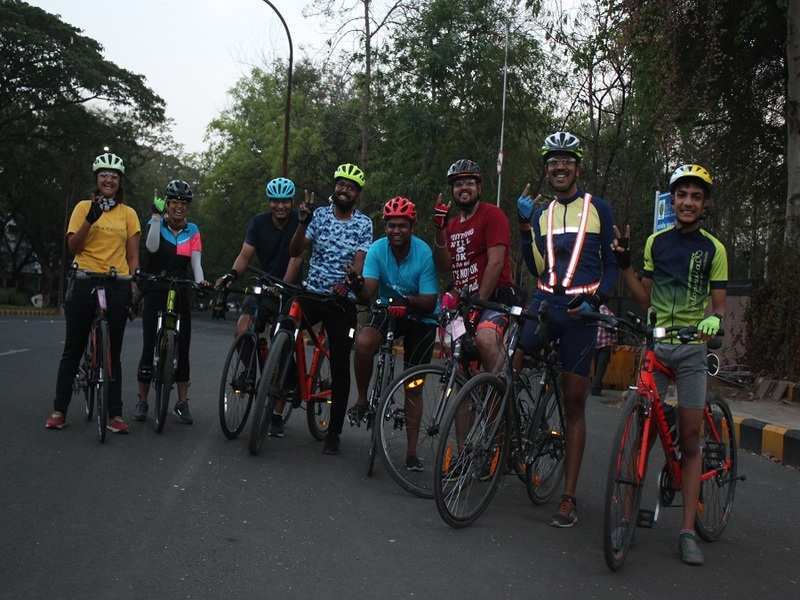 We wanted to convey to the public that there is a sizeable chunk of ardent cyclists in the city and also to motivate people to take up cycling,” informs an ardent cyclist Deepanti Pal, who led the entire ride that was flagged off from Joggers’ Street.